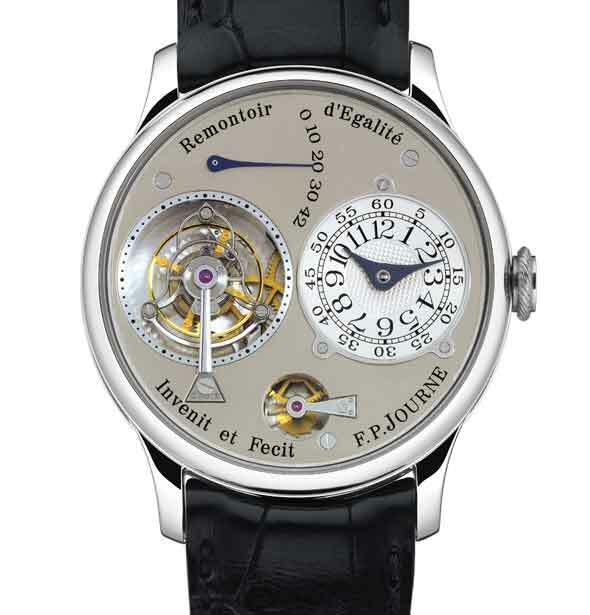 François-Paul Journe is a French watchmaker who was born in Marseilles in 1959.
the repeating work under the caseback and the hammers striking under the dial. 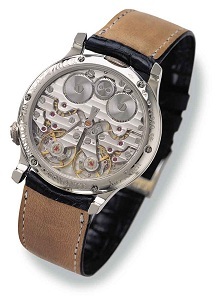 It was sold for $400,000 US in 2000.
be, those who make the watch can never outrank the brand that markets it. intended to put it into series production under his own name. clocks that would work precisely enough at sea to calculate longitude. bob, it starts to sway in counterphase, sapping the energy of the pendulum. 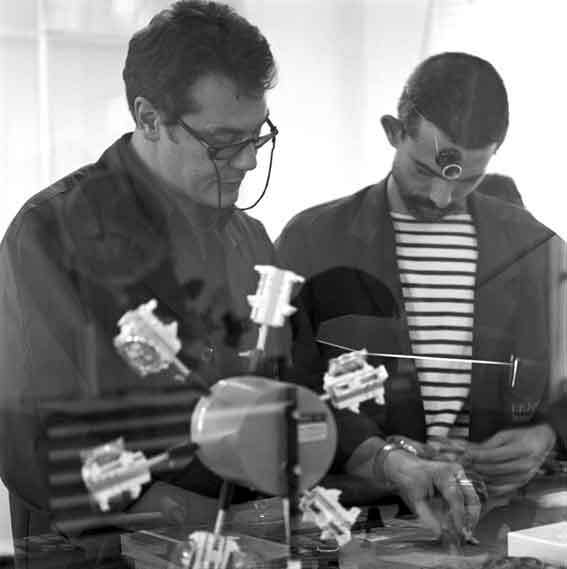 collection of the Ecole des Arts et Métiers in Paris in the early eighties. oscillating bodies in a practical modern wristwatch. Janvier’s masterpiece for around one million dollars. vibrating in counterphase at the same frequency. the same rate on or off your wrist. the balance, it leaves enough room for the constant-force device. number will probably double two years hence. Although the owner of an F.P. enough of those to sustain a production of 1500 a year. 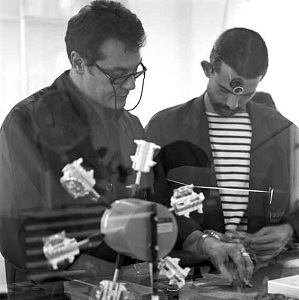 factory with Cedric Johner and other small watch companies. Geneva style, and are obviously made with every care. 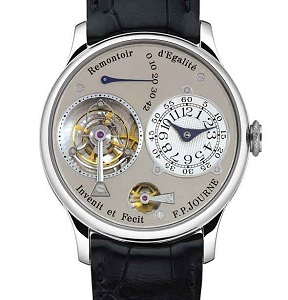 Whether the styling of Journe’s watches appeals is a matter of individual taste. harmonious. The look is that of a precision instrument made without frills. no longer dealing in Journe watches having had many returned by clients. balance or regulating organ that doesn’t need a coiled hairspring. brand is more fun, and more lucrative, than making good watches. spells the death of creativity. Copyright © Alan Downing, 2002.